Item: On-Acco 1.25 oz. Salted Peanut Bag. 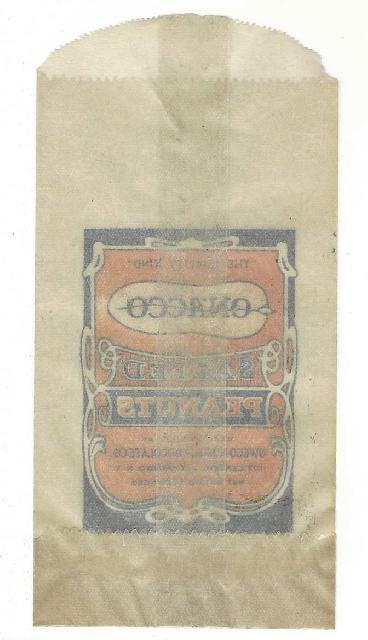 Owego, N.Y.
Vintage On-Acco 1.25 oz. Salted Peanut Bag. 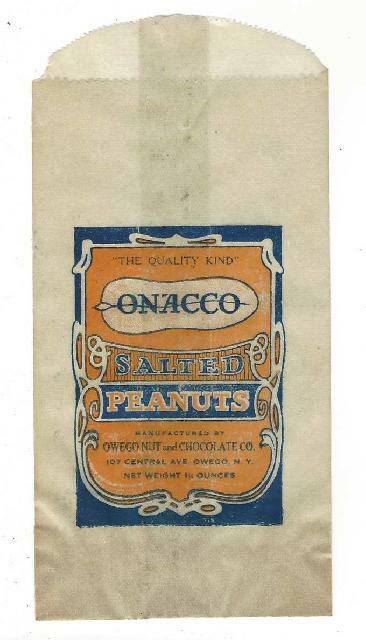 Owego Nut & Chocolate Co., Owego, N.Y. This bag is in a BCW rigid PVC sleeve and shrink wrapped. Condition (Excellent) Size: approx. 5.5" x 2.75"